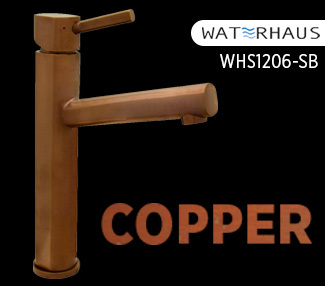 Whitehaus Collection®’s Waterhaus faucets offer a clean and innovative design that is guaranteed to impress. 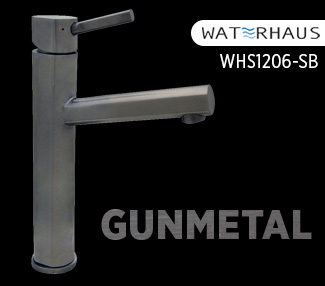 Designed with the environment in mind, these faucets are constructed from scratch resistant commercial grade stainless steel, are Watersense compliant and lead free. 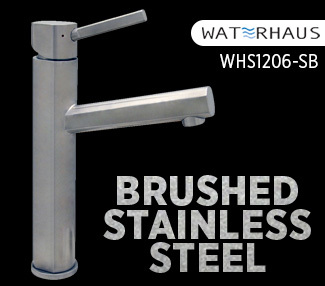 The WHS1206-SB model has the added advantage of being ADA compliant. 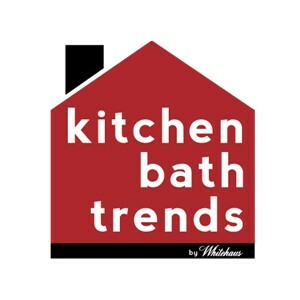 This single hole, single lever lavatory faucet was designed with above mount basins in mind. The elevated height fits perfectly any of the Isabella Plus above mount basins options. 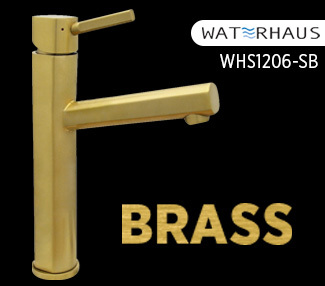 Available in four stunning finishes: Brushed Stainless Steel (with a stainless steel matching pop-up drain), Brass, Copper and Gunmetal (pop-up drain not included); that combine beautifully with the exclusive Isabella Plus sinks in Gold, Carrara White, Silver, Rose Gold and the glamorous available combinations.